Robson's Farm: Holiday Wreath and Fruit Block Classes Now Posted! 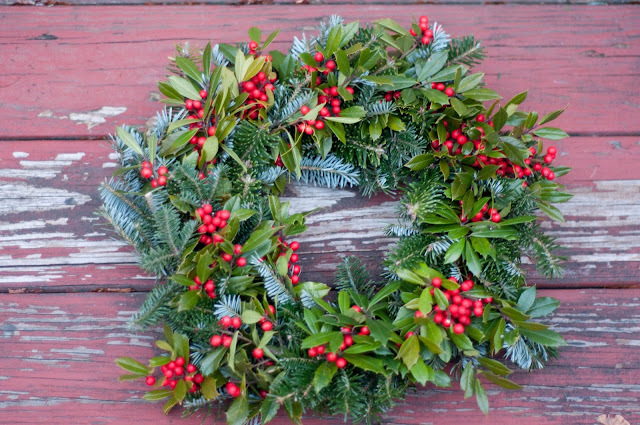 Holiday Wreath and Fruit Block Classes Now Posted! 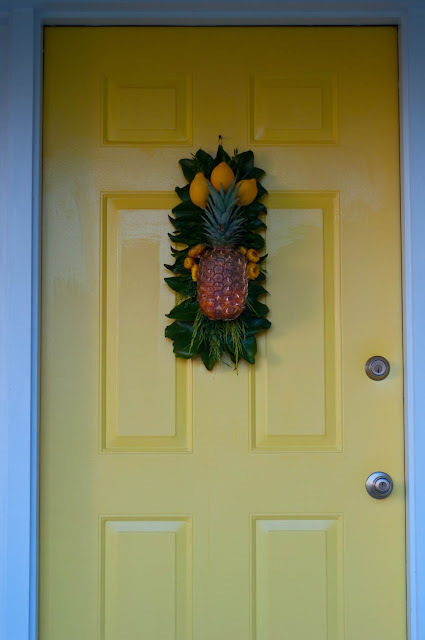 fruit block on the best yellow door on earth! 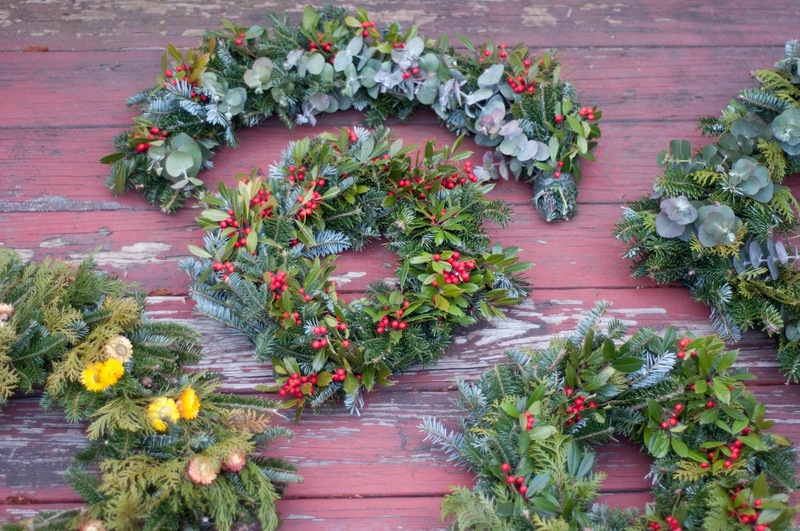 We had so much fun at our dried wreath classes that I'm just beside myself with excitement for the evergreen wreath and fruit block classes. Or you can come shop at the Purple Farmstand post Thanksgiving! Holiday music will be playing, beverage and light snacks will be provided. Class limit is 6 per class so everyone gets the attention they deserve! SO first what in the world is a fruit block? How long will it last? Will fruit rot on my door causing me a mess and distress? A fruit block is something I came up with some inspiration from Colonial Williamsburg (never been there but thankfully instagram was helpful) and a desire to make something different. Everyone puts the same stuff on their door...so why not give an option for something completely (i'm going to use one of my dad's often used words) rad! Before I even saw the decorations of Colonial Williamsburg I saw a house on the way to the Hamilton Marketplace that had a Fruit Fan one year. I asked my mom about it and she brushed it off as the fruit must be fake. This was about 4 years ago. I never forgot that house or that fruit fan which led me, 4 years later, to explore and confirm that it was real fruit. Not everyone wants to drill holes in their home to support an extremely heavy fruit fan so I rolled the idea around in my mind until I pulled out the idea of the fruit block. Come make one! I tested a few in the cooler at 50 degrees for a little over a month and it held up. Please understand if it's 70 degrees in December for a week it will break down more quickly but lets all hope that there very few if not any 70 degree days in December. We will be using staple guns in this class. 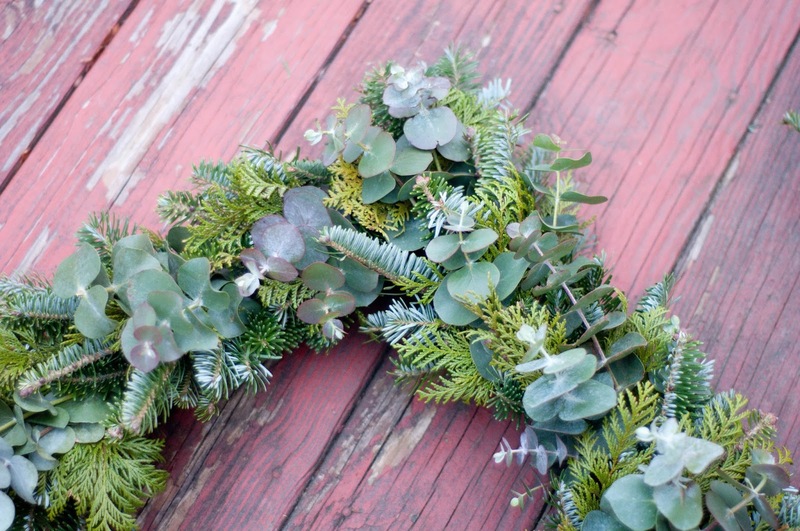 We'll also have evergreen wreath classes where you'll hand tie a wreath with a number of different greens to add texture and interest. You can also include dried flowers, a big bow, and any other creative treats I dream up to add.